The Revolution™ LP is a strap-down electronic compass designed specifically for commercial, industrial, and military users. The Revolution LP will be of particular interest to ROV and AUV manufacturers who are concerned with power usage and accurate heading in all types of challenging conditions. In standby mode, it draws a mere 50 μA and requires only 15 mA in run mode. It provides accurate heading data in less than a tenth of a second from wakeup. An extended range tilt sensor is available that allows for +/-60° of pitch and roll. Other aspects of the Revolution LP remain unchanged from the original Revolution including its quick-connect, external serial interface. While the compass is in-place, and without disconnecting system wiring, a serial cable or available USB cable can be temporarily connected via the RJ12-style modular jack. This allows easy access during installation for calibration and tuning. It also provides a valuable diagnostic port and can be used for an auxiliary read-out when needed. In situations where a fixed installation is not desirable, the RJ12 connection can be used exclusively. 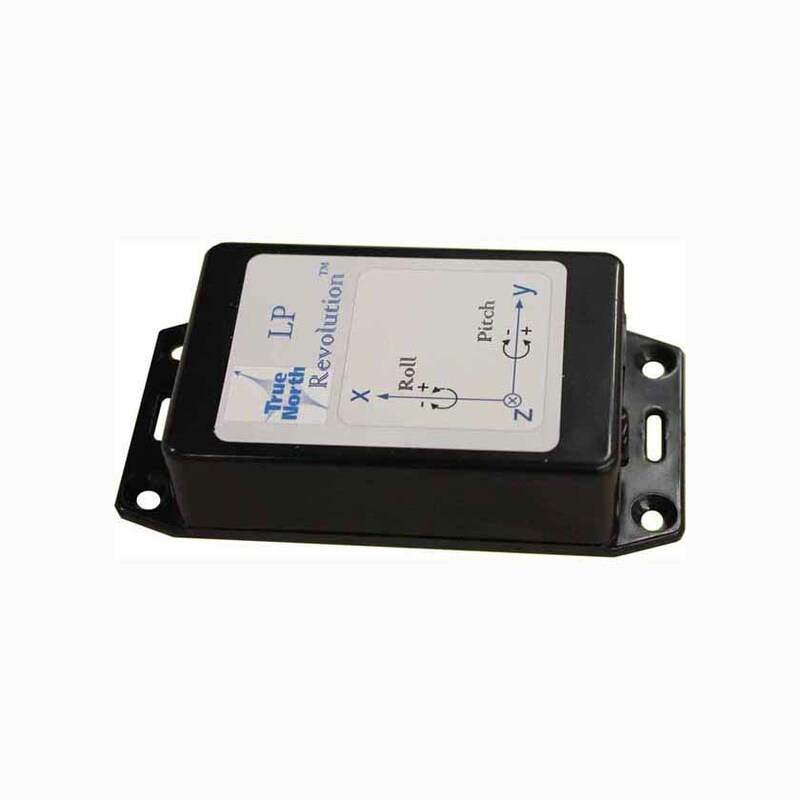 User definable operating parameters include the selection of NMEA output data and update rate; operating mode as continuous or query-only; and angle data in degrees, mils, radians, or 16-bit integer (65536 counts per revolution). Compensation for both hard and soft iron influences is built in. Recommended applications are unmanned vehicles, robotics, weather buoys, antenna positioning, and marine navigation.